*Office, Retail, and Hotel Development—Approximately 922,850 square feet of Class "A" office and plaza-level restaurant / retail space in three mid-rise towers, along with a full-service hotel. 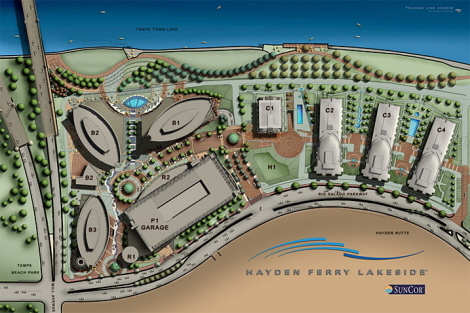 Edgewater at Hayden Ferry Lakeside combines the excitement and convenience of urban living with the quiet serenity of lake and mountain vistas. Edgewater has 40 luxury condominiums in an 8 story tower, offering 1-, 2-, and 3-bedroom units, each with a private patio or balcony. Residents will have access to a heated pool, spa and on site fitness center. 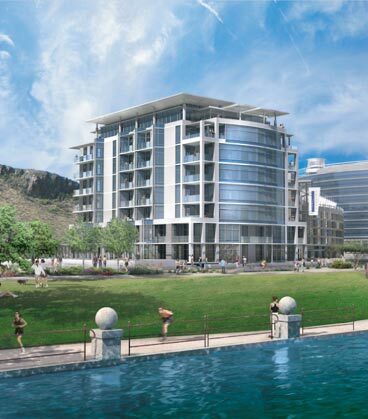 Please contact us at Edgewater@WeAreAZRealEstate.com for more information. 1136 - 3166 Sq. Ft. Amenities include: Social Lounge, fitness center, library and conference room. Heated pool and spa.